I love these books. Especially Watchmen: The Art of the Film. They reminded me of so many great movie tie-in books of the past. You know--the ones with lots of photos of sets, costumes and props. I've gotta get one of these books. Of course, I didn't walk out empty handed. I could not pass up buying a Rorsach action figure. He looks too cool. He now takes a proud spot next to my Simpsons Lard Lad, my Doctor Who Tardis, my Lost in Space Robot, and my Buzz Lightyear. He's right at home! I have a love-hate relationship with novels of high-fantasy. Yes, there's something about swords and sorcery, kings and wizards, empires and forbidden territories that provides perfect escapist reading. But too often fantasy books are juvenile and superficial. Characters are motivated by basic emotions of hate, revenge, love and honor. Imagined worlds usually lack any believable socio-economic dynamic. And use of magic is an easy narrative crutch for those writers who emphasize action over character development. I don't know how many times I've started reading a fantasy novel only to abandon it after a few chapters. I'm happy to report that Acacia: The War with the Mein by David Anthony Durham is a book I did not abandon. In fact, I became totally engrossed in its richly imagined world and complex, believable characters. What made the book work for me was Durham's attention to the fundamental mechanisms of his society: the religious beliefs of the people, the political forces that balance and counter-balance governments, the economic infrastructure that makes the society work. All of these elements are in play in Acacia and inform the actions of the various characters. Lest you think the fundamental trappings of fantasy such as magic and magical beings are missing from Acacia, rest assured that these aspects of the genre are firmly in place, even though Durham de-emphasizes magic for the most part. In Acacia, magic stems from the time of creation; it is a relic of the Giver, the prime being who made the world. Long ago, followers of the Giver attempted to copy his language, going as far as to write much of what they knew into a secret book. Use of this language can unleash magic into the world. But at the time of King Leodan, no one remembers how to correctly speak or read the words of the Giver. So magic stays pretty much in the background. Until the third act, when magic plays a prominent—and startling—part in the story. Acacia, then, has all the prerequisite elements of high fantasy: warriors, magic, and imaginary lands. But what makes the book stand out is what Durham does with these elements. He always makes the story about the characters and their relationships to each other and the world they live in. The Akarans and the Mein carry with them the history of their people. Politics, history and economics are ever present in their minds—forces which both propel them forward and stand in their way. As the characters struggle with the reality of their world, their hopes, fears, loves and desires clash with the boundaries of their society. This is where Durham finds such rich drama. Characters face difficult choices between what they want to do and their proscribed political or economic roles. Of course, bold ideas would not be enough to make Acacia work. Luckily, Durham tells an exciting story and he tells it well. The plot is hardly new (many have compared it to George R. R. Martin's, Song of Ice and Fire series) but that, of course, is how it achieves so much of its comfort. As I said at the top, high fantasy implicitly promises certain tropes. A successful novel depends on how an author handles those tropes. Acacia proves that Durham has the chops. It is a highly satisfying book—an immersive fantasy with heft. 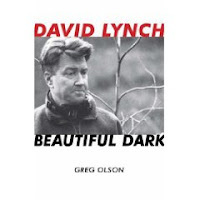 I’m doing a very slow read of Greg Olson’s fantastic new book, David Lynch: Beautiful Dark. But here’s the thing: I’ve got a huge reading list in front of me—I mean a bunch of books I’m eager to get to. And I’m also sometimes impatient. Beautiful Dark is big book and I don’t want to carve out the solid couple of weeks it would take (me) to read it. So I’m reading it in chunks, one chapter at a time, each between the other books on my list. So far I’ve read four chapters (through Dune) and I thought I’d comment here on each chapter as I finish it (expect comments on the Blue Velvet chapter in a couple of weeks). Chapter 4 - Dune: Too often I’ve dismissed Dune when examining Lynch’s oeuvre, probably because Lynch didn’t get final cut on the film. To me, Dune had little to offer the serious Lynch student. Well I was wrong. Olson does a great job showing how Lynch made the movie his. Of particular note was Olson’s examination of the line, “The sleeper shall awaken!” which was not part of Frank Herbert’s novel but rather a distinct Lynch addition. Obviously this idea—one in which a sleeper awakens to face the true reality of his or her situation—is a prominent Lynch theme. 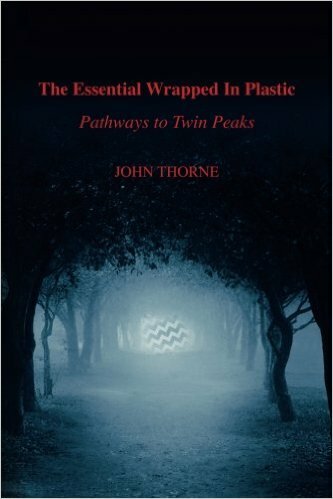 Sleeping characters and their dreams are critical elements of Twin Peaks, Eraserhead, Mulholland Drive, Blue Velvet and other Lynch works. Olson reminds us that Lynch introduces this concept to Dune and I wanted to slap myself on the forehead for having missed it in my past writings. Chapter 3 – The Elephant Man: This is a great chapter in that it shows how Lynch navigated the delicate path from being an obscure, somewhat inexperienced director to taking charge of a big Hollywood production. There are interesting bits about Anthony Hopkins’ and Sir John Gielgud’s reactions to Lynch and a fascinating description of Lynch’s failed effort to personally design the Elephant Man make-up: “the young director understood that his design just wasn’t good enough, and he manfully turned the project over to makeup technician Christopher Tucker.” (p. 109) Good stuff! Some might argue that the end presents Henry as having achieved some sort of transcendent existence. Interestingly, the final shot in the film is a close-up of his face, and his eyes are closed. […] The scene is reminiscent of the conclusion of Fire Walk With Me, in which Laura Palmer, having just died, meets her angel, and white light floods the screen. Cooper is by her side, and she is smiling. Clearly she is in some sort of heaven. Despite my disagreement, Olson’s arguments are persuasive and meticulously researched. He proves that there is no one “right” interpretation of Lynch’s films. This is film criticism at its finest. Chapter 1 – The Alphabet and The Grandmother: A wonderful introductory chapter that sheds much light on the early years of Lynch’s life. Olson provides what most other Lynch writers have missed—a strong biographical background of David Lynch. In the chapter we learn much about Lynch’s youth and how he became interested in painting and ultimately film. Olson delivers in-depth analysis of Lynch’s early works, particularly The Alphabet and The Grandmother. Again, I found myself going back to watch these films after I read Olson’s analysis. After reading the first four chapters of Beautiful Dark it is clear that Olson has set his sights extremely high. The book is not simply a biography, or a behind-the-scenes look at movie-making, or a critical study—it’s all three at once! I look forward to the next chapter! Fans of quality TV should be tuning in to HBO's Big Love on Sunday nights. The show has turned out to be one of the better series on the cable network. The writing is top-notch and the acting is superb. Look for stand-out performances from Grace Zabriskie (yay! ), Chloe Sevigny, Harry Dean Stanton and Amanda Seyfried. The show is totally engrossing and the best thing on TV now that Mad Men is over until its third season. If you think the polygamy angle is a gimmick you're missing the show's rich drama, deep backstory and fine character interaction. Really, all the best elements of serial story-telling are on display here. HBO will probably never have another show as good as The Wire or The Sopranos. Many of their recent series have been uneven. (I like True Blood but the whole concept of that milieu falls apart if you think about it too much. Rome was good but rushed. John from Cincinnati had promise but no momentum. Carnivale always felt like a "make-it-up-as-you-go" network series.) But Big Love has been one of the cable network's most satisfying shows. The third season just began but it is not too late to start watching. Really, do yourself a treat. So this is my first blog posting. Welcome to those few who stumble upon it. If anybody is interested, I used to be the co-editor (with Craig Miller) of the David Lynch/Twin Peaks magazine, Wrapped in Plastic. That magazine ended a few years ago (with issue 75) and I've been just floating around ever since. Back in the days of WIP I had a regular forum to express my views and to write critical pieces on TV, film, books and comics. (Yes, most of my writing had to do with Twin Peaks and David Lynch but I managed to fit in observations about all sorts of other things.) Since WIP ended I lost my regular writing outlet. I hope this blog will be a satisfactory substitute. Clearly, a blog is far less structured than a magazine. That's good. I want to write about what's on my mind. What I like and don't like. Any maybe post a few pieces of my early work (from WIP) for those of who you are interested. Here, I wont be restricted to talking only about Twin Peaks. After writing about it for 13 years I really don't have much left to say. (Well, maybe a few things!). So expect short reviews (comments, really) of books, TV, films and comics. I hope to be here on a regular basis. 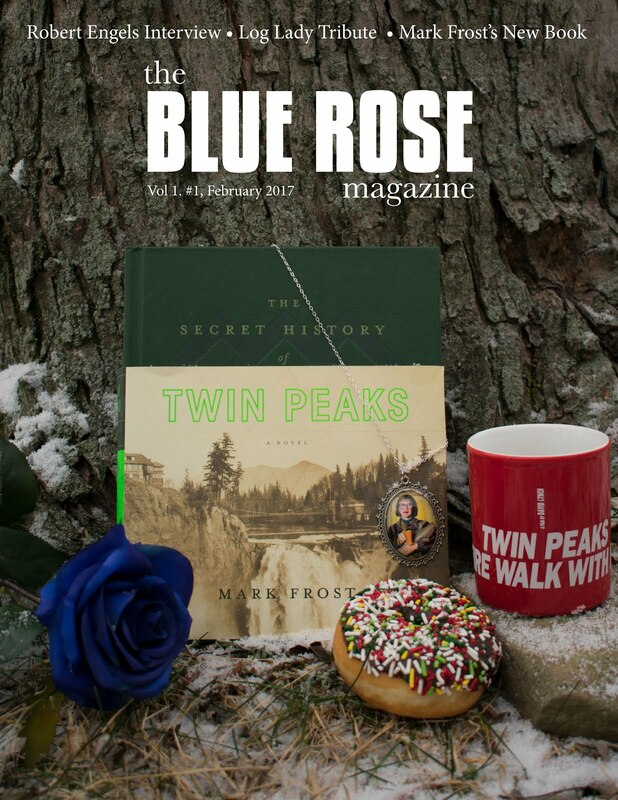 Oh, and the title of this blog is a Twin Peaks reference. If you're a TP fan, I'm sure you get it.